Recently, I went on Twitter and posed a question about indie publishers to the #WritingCommunity which is made up of aspiring, self-published, and traditionally published writers. As we are a procrastinating bunch, playing online instead of writing, responses are usually immediate. However, my question of "What is your perception of indie publishers?" met with resounding crickets (even after a retweet). I see all these aspiring authors stressing out about trying to query agents and wondered through this silence if they believe it is the only way. In the beginning, I did. I though it was agent or self publishing, but there is something wonderfully in between: indie pubs. So let's tackle this elusive "indie" term. Most people heard the term "indie" applied to actors who work for small, independent film companies, or authors who represent the self-published industry. But what is an indie publisher? When we apply the term to them it is kind of self-explanatory: they are independent publishers. But what does that really mean? It means they are not part of those huge publishing powerhouses--Hachette, HarperCollins, Macmillan, Penguin Random House, and Simon & Schuster. That's them, a whopping five, the Big 5 as they're often referred to. Note, the Big 5 have sub-presses and imprints that are part of their conglomeration under different names which does make it seem like there are more large publishers out there. To crack into these puppies, you usually do need that agent. This is the big leagues, most authors' dream. But if you are new to the scene, should you "Go big or go home"? Or should you take a more humble, more likely successful approach? 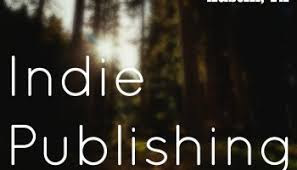 Every other legitimate publisher and press outside these Big 5, excluding vanity or a self-published labels, is considered an indie publisher. That is a lot. I'm having trouble finding a current stat on how many there are, but I think that's because they are cropping up like mad every day and the statistic is ever-changing. Most sources say they're too hard to measure but most likely tens of thousands. One source boasts there are 100,000 publishers in the US, only a small portion of those being the Big 5 and their imprints. Hold up though. Stats like this skew things, making it sound like getting published should be easy, unless we look at them in perspective. The Big 5 put out loads of books, small presses put out few but there are more of them. When it comes to small presses, most do not represent all genres, but usually have a focus, or if they do it all, they must be highly selective. Most indie presses only put out a book or two a month. So finding your exact genre limits this list a little as does the amount books they take. What the stats do prove, if we assume about 50 of these 100,000 belong to the Big 5, is that indie publishers have become popular. And the great thing is they are a perfect in between for aspiring authors, not the big leagues, not self publishing. I have two books on my roster and a novella, all through these indie presses. I'm glad I went this route and do not think I'm ready for the big leagues at this stage, nor do I want to be. I see many advantages of small presses over "going big," the main one of actually being published. Stay tuned. In a few weeks, I'll take a closer look at indie presses.